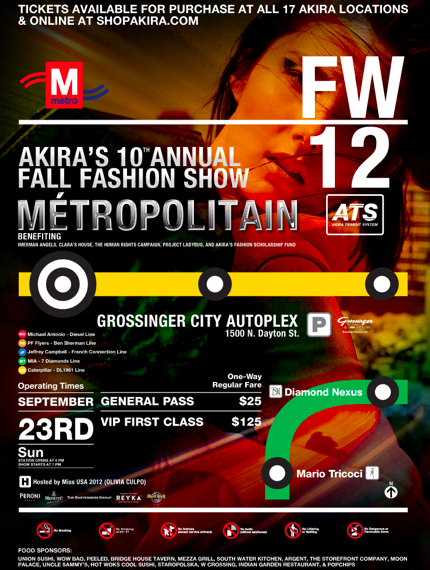 » AKIRA Goes Metropolitan for Their BIG 10 Year Anniversary Fall Fashion Show! I can honestly say that AKIRA is my favorite retail store in the entire city of Chicago and there are a million reasons why. I’ve narrowed it down to my top 5 so I can keep this short & sweet. 5. & last but definitely not least…their FASHION SHOWS! Before the fabulous fashion show begins, make friends with a bartender and server, you’re not going to want to miss out on these treats …the bar will be stocked with Reyka Vodka, Peroni beer, Mionetto sparkling wine, Smartwater, Vitaminwater, Vita Coco, & Coco Café. 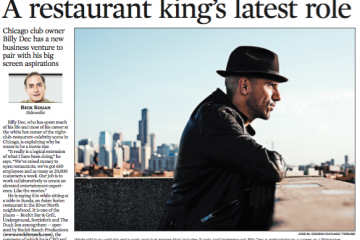 As far as food goes, it’s quite an impressive list of local favs: Union Sushi, Wow Bao, Forever Yogurt, E.leaven, Lovely: A Bakeshop, Argent, Peeled, Bridge House Tavern, Mezza Grill, South Water Kitchen, Take Me Out, Moon Palace, Uncle Sammy’s, Hot Woks Cool Sushi, Staropolska in Logan Square, Indian Garden Restaurant, The Storefront Company, Baume & Brix, W Crossing, & Popchips...like I said, IMPRESSIVE. The fashion show itself will be hosted by Miss USA 2012 (Olivia Culpo) & emceed by Kelli Zink (CelebTV). Clothing and shoes for the show will be provided by some pretty awesome sponsors which include: Caterpillar, DL1961, 7 Diamonds, Michael Antonio, MIA, PF Flyers, Jeffrey Campbell, Diesel, Premium Lounge, French Connection, Original Penguin, Ben Sherman, & Bed Stu. Best news? If you liked what you see on the runway, you’ll be able to buy it afterwards at a one-night only pop-up shop. Okay, that may be a lie, the best part is that 5 different charity organizations will benefit from the proceeds raised throughout the night. Imerman Angels, Project Ladybug, Clara’s House, the Human Rights Campaign, & AKIRA’s Fashion Scholarship Fund will all reap the benefits. If you thought the party stopped when the show ended, you’re wrong…so wrong. The after party continues at Japonais at 9pm and will be hosted by Miss Illinois USA 2012 (Ashley Hooks). Once that raps up the after-after party pops off at The Underground. 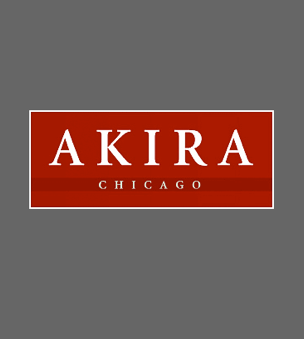 So let loose, dress your best, & party til 5 am to celebrate the 10 YEARS AKIRA’s been rocking Chicago’s fashion scene.